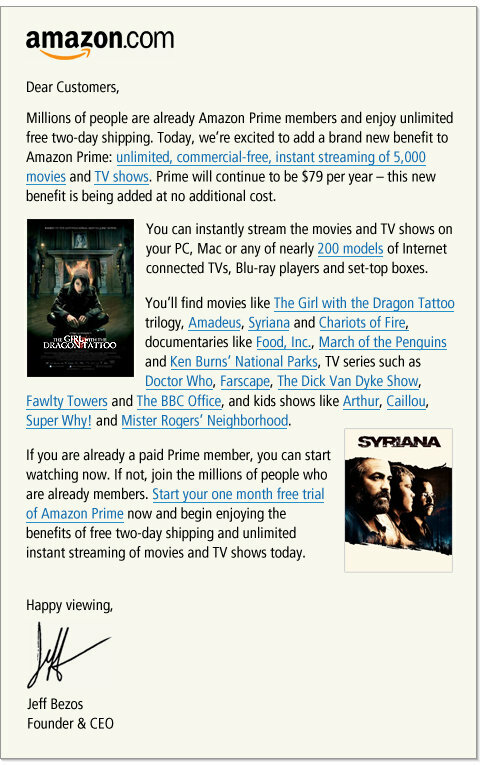 As a subscriber of Netflix and a long-time user of Amazon, I think this will good foe everyone. I hadn’t written about this since BEFORE streaming became common (at least before Netflix started the service that it now dominates by a lot!) But I had talked about Amazon being a player to keep your eye on in this space. What is your take on this move by Amazon? As a patient advocate and a web user, I am always curious when I learn about these kinds of things… like the “reporter” from the “news web site”, I was curious to learn more about this new diet… Notice my use of quotes. The page you land on when you click on the ad has the URL http://newshealth6.com/LoseWeightFast. If you visit it and you try clicking on any of the U.S., World, Business, Politics, etc. sections of the news site and guess where it leads? BACK to the same page. 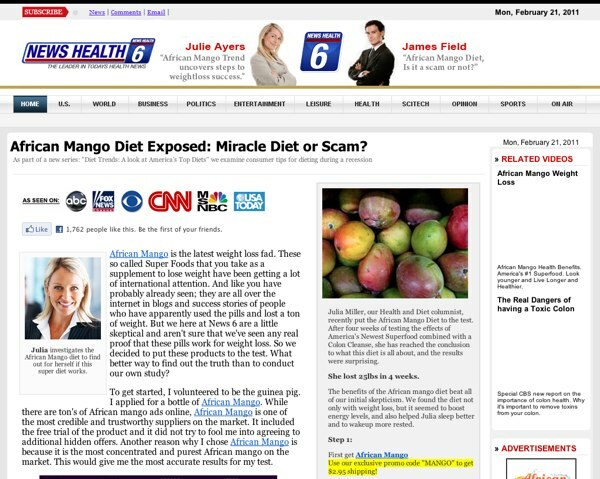 This is a 1-page web site that only seeks to promote this so-called African Mango diet! 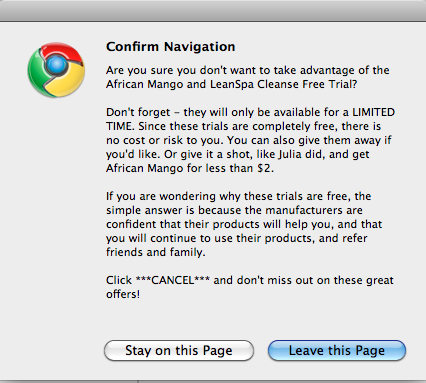 If you try to leave the web site, you are presented with a very classy “Are you sure you don’t want to take advantage of the African Mango and LeanSpa Cleanse Free Trial?” popup (see below). When was the last time you saw a news site doing this? Let me think…. ah…. right! NEVER! These guys are “content phishing”. I am not sure if it’s even a term that exists, but it’s the name I give to these kinds of practices, similar to the ones by people trying to make you believe you are visiting your bank web site, to steal your banking data (and money) from you. These kinds of practices are unethical and should not be allowed! What’s sad is that, when I see practices like this one, I don’t even care any more if what they somehow got on Reuters Health about African Mango two years ago is true or not. Anyone willing to go to this extreme to promote their product is not going to get my money… and I hope they don’t get yours and they get sanctioned for deceiving people this way!